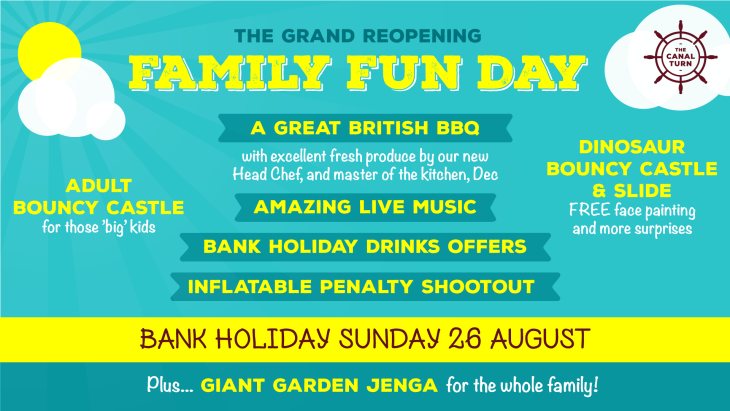 FAMILY FUN DAY - GRAND REOPENING! ◘ For the Kids - Dinosaur Bouncy Castles with Slide FREE Face Painting and more surprises! Out with the old and in with the new, our team is focussing on bringing you excellent quality food and drink in perfect surroundings for the whole family.